Well looky there would ya...more Holiday Lineup cards accidentally came across my camera! This time pocket cards going the horizontal direction Ü. They are looking at YOU, you know!! 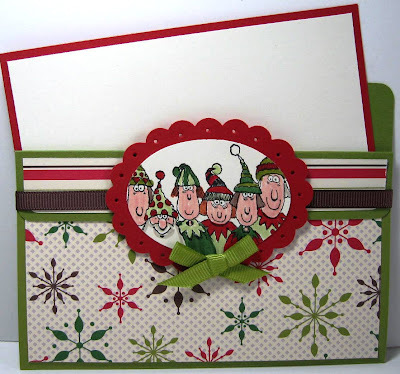 Cardstock: Real Red, Old Olive, Very Vanilla even though it looks white in the pix! Stamp Set: well, Holiday Lineup of course! 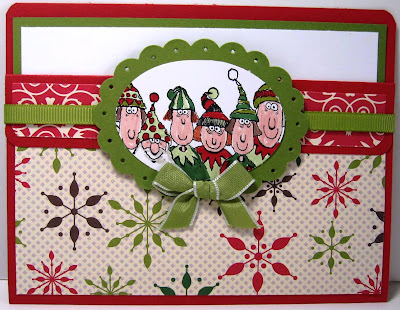 Sherrill DeGraff of Late Night Stampers fame awarded me with this Fabulous Blog Award. Thank you Sherrill!! As I've shared here before, I don't pass these awards along. I simply won't pick and choose as I love too many blogs and bloggers. Please feel free to pick this award up and take it to you fabulous blog!